The Band is a poignant watch about ageing and loss. But it has a solution. It's out to show there's nothing more important in life than having a mate at your side, singing and dancing like deranged teenagers at some gig. Drawing on his recent success stories on the stage with Finding Neverland and The Girls - a musical retelling of Calendar Girls, Take That leader and Ivor Novello Award-winning Gary Barlow is gearing up once more for another West End musical project! 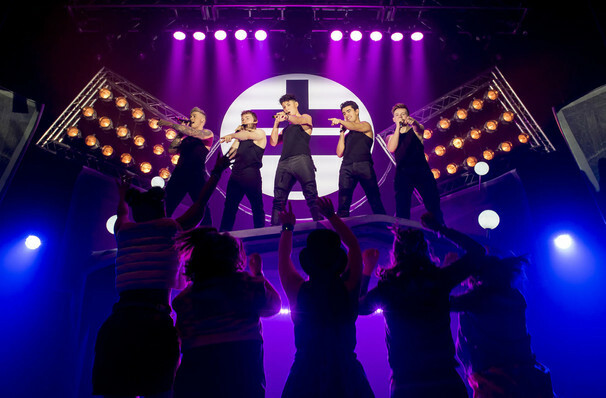 Having found his singing cast through the nationwide TV talent show Let It Shine, Barlow will be teaming up once again with Tim Firth to write the production, which showcases the musical hits made famous by Take That in the Nineties and early 2000s. Will Gary make it a hat-trick of hit musicals? 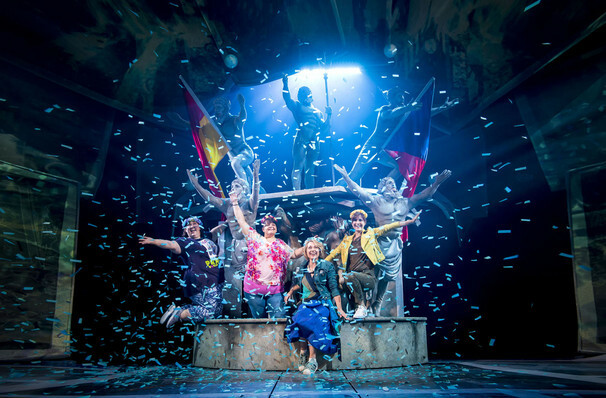 There's one way to find out when it arrives in London, following its UK tour! Revealed shortly after the Let It Shine! 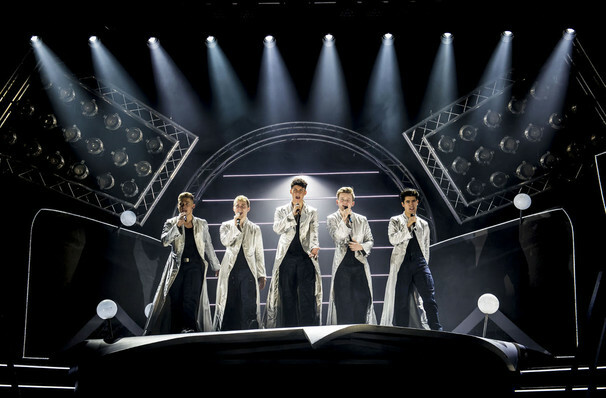 finale in early February 2017 that the musical will in fact be focused on five girls who are super-fans of Take That, the winners, Five To Five will appear in the musical as a purely singing outfit, to drive the plot forward. 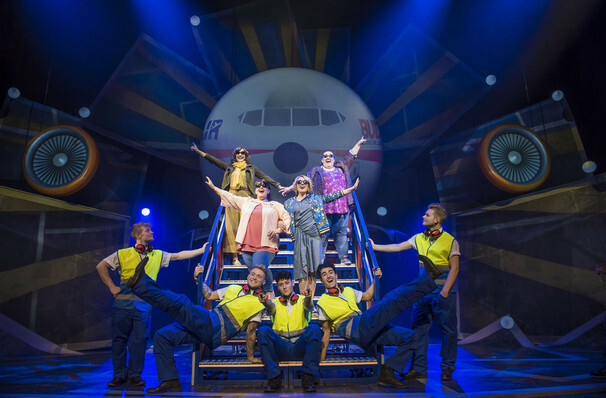 With a jukebox-driven plot reminiscent of Jersey Boys and Mamma Mia!, these five go on an adventure to meet their idols, accompanied by Five To Five as the eponymous Band. 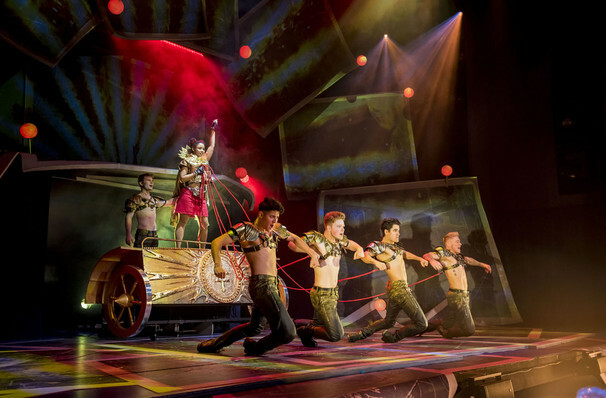 Gary Barlow has received critical acclaim in recent years after turning his supremely talented composing talents to the theatre, starting with 2011's Finding Neverland, which is currently the wider USA by storm. The Girls, is a musical adaptation of the Calendar Girls story, which was shortlisted for three Olivier Awards in 2017, including Best Musical. Seen The Band? Loved it? Hated it? Sound good to you? 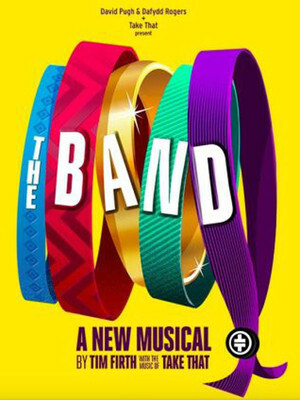 Share this page on social media and let your friends know about The Band at Theatre Royal Haymarket. Please note: The term Theatre Royal Haymarket and/or The Band as well as all associated graphics, logos, and/or other trademarks, tradenames or copyrights are the property of the Theatre Royal Haymarket and/or The Band and are used herein for factual descriptive purposes only. We are in no way associated with or authorized by the Theatre Royal Haymarket and/or The Band and neither that entity nor any of its affiliates have licensed or endorsed us to sell tickets, goods and or services in conjunction with their events.